SofGrip offset handle helps keep your knuckles from getting in the way while slicing. Bread can be flaky and very difficult to cut through with most knives, except a bread knife. 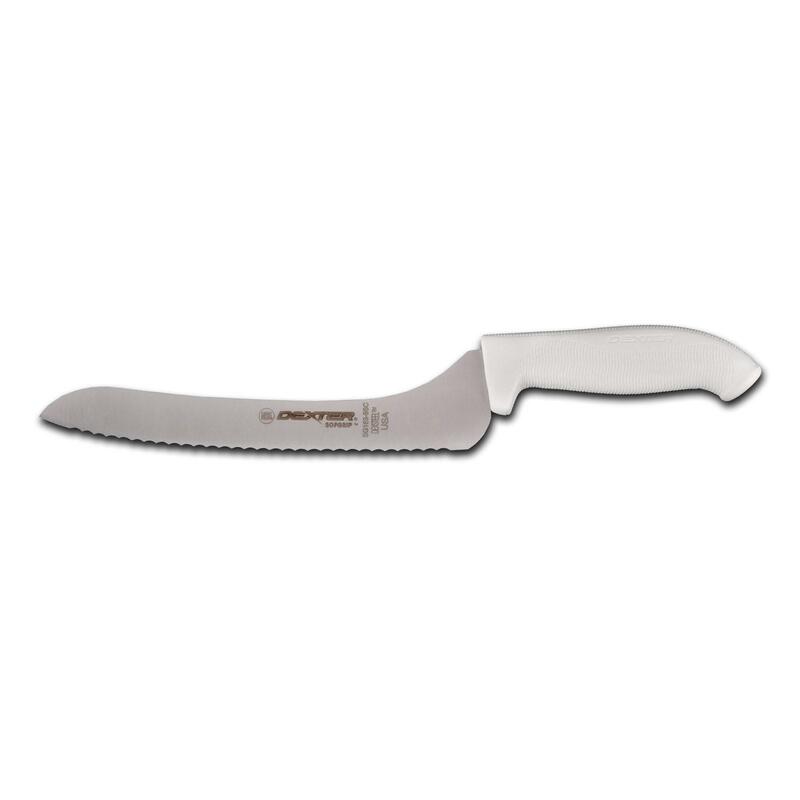 The scalloped blade will slice through bread without mashing it, and make sure to cut in a sawing motion to get the clean cut you desire. They are especially useful for foods with waxy skin like tomatoes and peppers because the scalloped edge can grip the skin where a straight edge knife might slip.